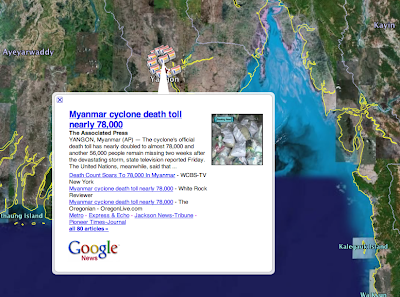 The launch of Google News on Google Earth is a milestone in the evolution of the geobrowser. 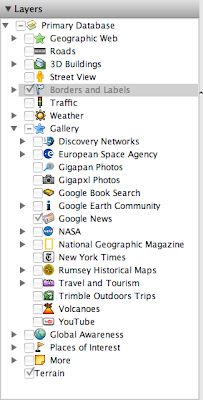 By spatially locating the Google News' constantly updating index of stories from more than 4,500 news sources, Google Earth now shows an ever-changing world of human activity as chronicled by reporters worldwide. Zoom into areas of personal interest and peruse headlines of national, regional and, when fully zoomed in, even the most local of interest. From school menus to global warming, there is now literally a world of information at your fingertips.